Gold prices fell by Rs 127 to Rs 31,900 per 10 gram in futures trade Monday as speculators reduced exposure amid a negative trend at the spot market. 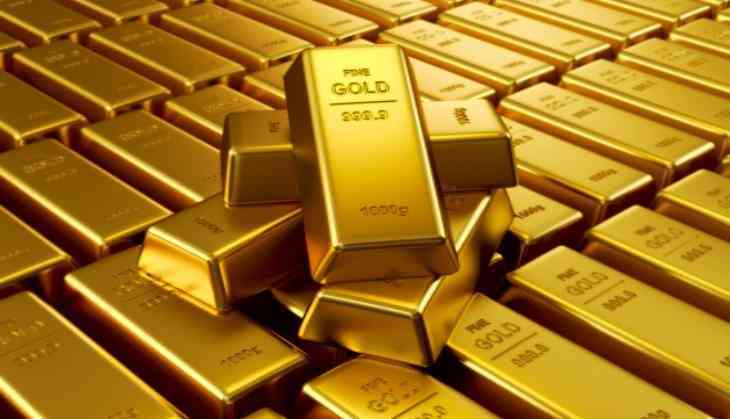 At the Multi Commodity Exchange, gold for delivery in August traded lower by Rs 127, or 0.40 per cent, at Rs 31,900 per 10 gram with a business turnover of 14,679 lots. Gold for delivery in June also fell sharply by Rs 108, or 0.34 per cent, to Rs 31,754 per 10 gram in 14,706 lots. Marketmen said the fall in gold prices in futures trade was mostly due to trimming of positions by participants. Globally, gold was trading lower by 0.32 per cent at USD 1,286.46 per ounce in Singapore. Kasautii Zindagii Kay 2: Erica Fernandes gives a nickname to Parth Samthaan that is too cute to handle! What's brewing? READ NEXT >> Kasautii Zindagii Kay 2: Erica Fernandes gives a nickname to Parth Samthaan that is too cute to handle! What's brewing?